Xiaomi Mi Note 2 is a very nice phone with incredible specifications. I really wish to buy that smartphone cos of the features that came with it. 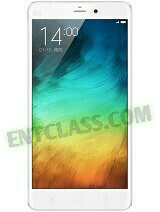 You can see the full specifications and features of the phone Here. The reason why you are here is probably you are finding it difficult to root the phone, after trying the almighty KingRoot app, but it proved abortive. Today, I'm going to teach you step by steps on how you can root Xiaomi Mi Note 2. As we all know that Android phones running on Marshmallow are very difficult to root. And rooting is seem compulsory if you really want to get the best from any Android phone and also be the Boss of that phone. This tutorial is only for educational purposes and not the otherwise. I won't be held responsible for any harm that you may cause on the phone. First you should take a backup of your phone. Your phone battery should be charged at least minimum 80%. Unlock bootloader Xiaomi Mi Note 2 by Xiaomi official site. Step 1: Download and install Xiaomi Mi Note 2 ADB driver on your PC from the link above and enable Developer option and USB debugging mode on your Xiaomi Mi Note 2 in Settings. Download and copy SuperSU Zip file in the phone SD card. Now download and extract TWRP Recovery and Fast-boot tool and move TWRP Recovery (recovery.img) file in the Fast-boot tool folder. Then press and hold shift key in the keyboard and right click in the extracted Fast boot tool folder and select “Open command window here”. Step 2: Now connect Xiaomi Mi Note 2 with PC via USB cable and type adb reboot bootloader to boot your phone in the bootloader or fastboot mode. if this CMD command did not work for reboot bootloader or fastboot mode, then switch off your Xiaomi Mi Note 2 and press volume down and power button. You will get a vibration and your device will boot in recovery mode, then you select Reboot to Bootloader. Now your Xiaomi Mi Note 2 is in the bootloader or fastboot mode, So you type fastboot devices in the command window then press enter key. This command show connected device in the command window and you can see your Smartphone serial number. If command window is not show your device serial number. Then install USB driver correctly or change your USB port of the PC. Step 3: If your Xiaomi Mi Note 2 connected, then type fastboot flash recovery recovery.img command in the command window and press enter key to flash TWRP recovery on Xiaomi Mi Note 2. Step 4: Now type fastboot boot recovery.img to boot in recovery mode. Then tap on install tab or button and select “SuperSU.zip” file from your save location on your phone SD card and install this file. Finally, reboot your phone. To verify if the phone was successfully rooted, download Root checker app from playstore Here. Sometimes, you might want to unroot your phone for one reason or the other, I also have solution for that so that you are 100% safe even if you want to revert back. You can easily unroot your phone by un-install root app. Here is simple steps to unroot your device. Step 1: First of all open Su App from your app menu and tap on Setting. Now scroll and find “Full Unroot” option and tap on it. that’s all. Nice post, pls how can I root my huawei y6 pro? Marshmallow always proof stubborn to root, thanks for the post, it is really going to help.